Are you planning to make a homemade Supreme Pizza but don’t know what toppings you’ll need? Then you come to the right place. In this article, I’ll be listing nine of the most common supreme pizza toppings that you usually see in favorite pizza restaurants. I love Supreme Pizza because of its lots of delicious toppings. As compared to other classic pizza flavors, Supreme Pizza offers several toppings, such as cheese, pepperoni, and various vegetables. If you want to know the complete list of toppings, keep on reading. Out of all the cheeses available, mozzarella cheese is probably the most popular pizza mainstay. This cheese is what gives your pizza that gooey goodness when you pull out a slice. A soft texture and milky flavor characterize it. According to a 2014 study, mozzarella has a distinct elasticity and liquid consistency that generates the perfect texture- bubbly and stretchy yet whole. It creates a mottled, delicious top and it browns beautifully. 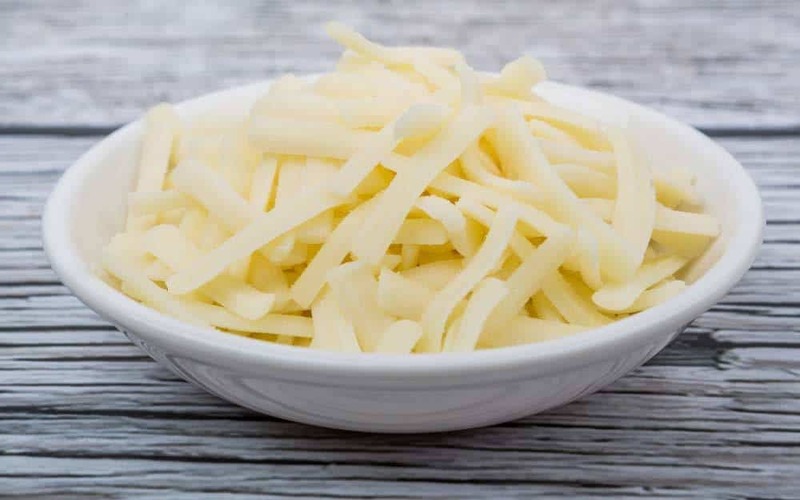 If you want shredded mozzarella cheese, opt for the deli-style because it often gives a more vibrant and creamier flavor as compared to bagged shredded mozzarella cheese. You also want a low-moisture mozzarella to have that perfect cheese pull. The best brands of low-moisture mozzarella cheese include Boar’s Head, Calabro, and Cappiello. Ground beef is a great addition to give a hearty meat flavor on your Supreme Pizza. Just as what its name suggests, ground beef is just beef that’s been grounded into fine pieces by a meat grinder. The meat is grounded to create more tender cuts and improve the flavor by grinding the lean cuts with the fatty portions. As possible, choose lean ground beef that has not more than 15% fat. 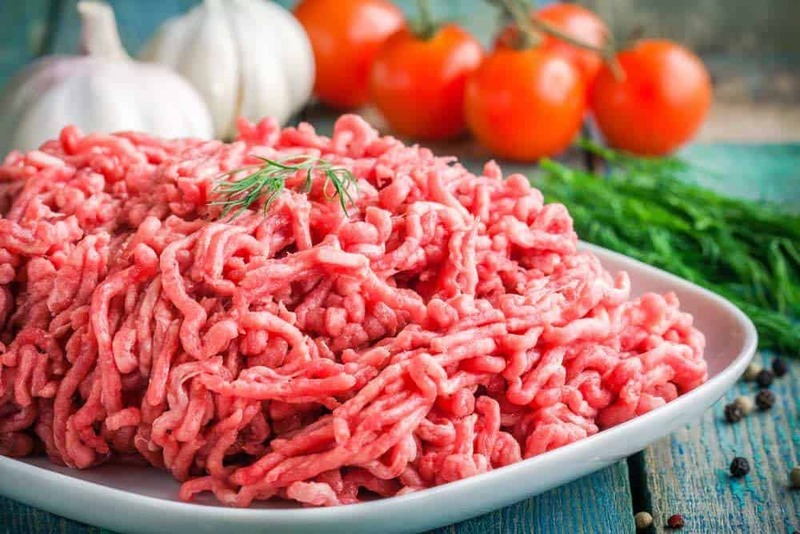 The types of ground beef that you can select are ground round, ground sirloin, and ground chuck. While the ground sirloin can be the leanest type of ground beef, it tends to be the driest. If you don’t like to compromise a good flavor with low-fat content, choose ground chuck which comes from the shoulder of the cow. If you like to get the right coarseness of the grind, you can ask a butcher in the supermarket to grind the beef for you. Remember, the coarser the grind, the juicier the texture of your ground beef. Since you’ll be topping the meat on a pizza, it’s best to opt for a coarser grind. To add a classic taste to the combo, pepperoni is an excellent topping for Supreme Pizza. Pepperoni is a spicy sausage that is a favorite pizza topping by most pizza lovers. 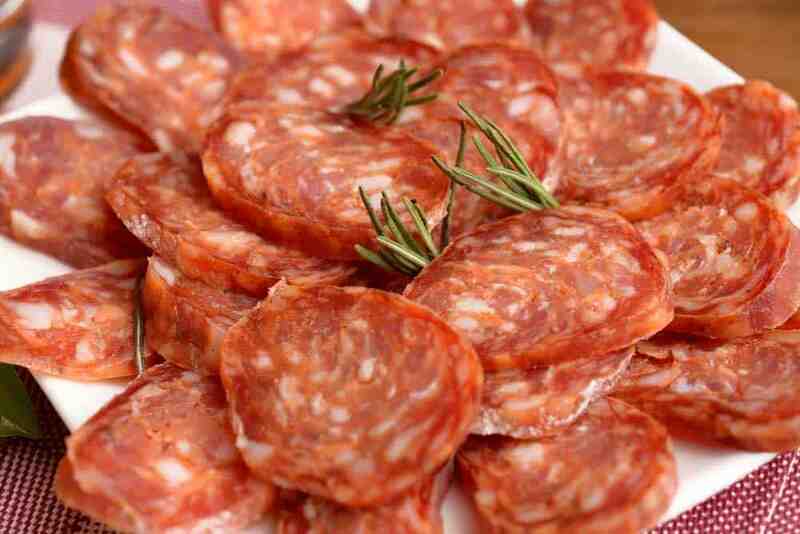 Made from a fine grind of beef and pork, this American variety of salami produces a soft, easy-to-slice cured meat. The best slice of pepperoni should have a right balance of saltiness, spiciness, and heat, with a little hint of acidity. Too little acidity and it would be difficult to cut through the fat, but with too much, the pepperoni can taste sour. The distinct orange color of this salami comes from its predominant seasoning which is paprika. When cooked in the pizza, the pepperoni tends to create that greasy orange pools. If you want a less greasy pizza, you can remove the grease of pepperoni by cooking them first in the microwave for half a minute. Don’t forget to layer the pepperoni in some paper towels, so the fact that melts out from the sausage gets absorbed by the paper. A pizza can’t be called Supreme without green bell peppers. Aside from its fresh, crisp taste, a green bell pepper can bring a right balance of color on your pizza. The green color stands out with the pale yellow cheese and the orange pepperoni. Although green bell peppers are typically a staple in pizzas, not all people are a fan of their slightly bitter taste. To achieve a sweeter flavor, you can roast the green peppers in the oven, grill, or above the flame of your stove. Learn more about these roasting techniques in this video. More than the color and texture, adding some green bell peppers on your Supreme Pizza can be a boost of nutrients. 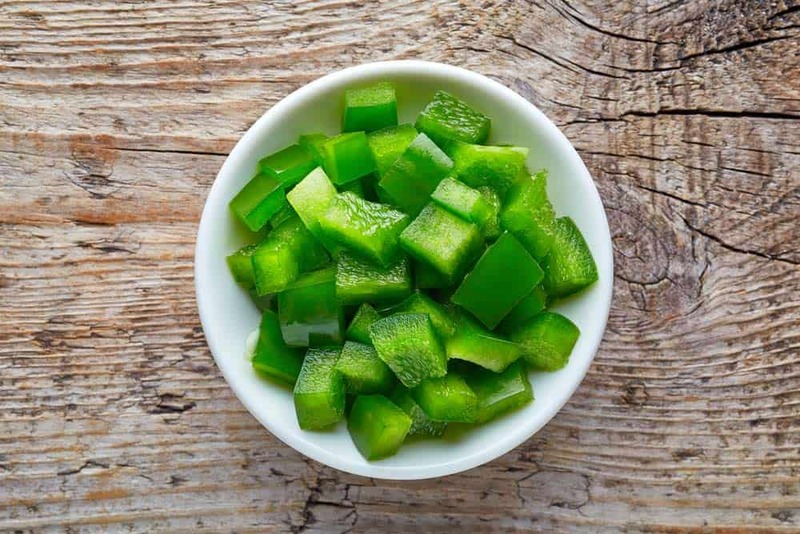 Green bell peppers are an excellent source of vitamin C, vitamin E, and fiber. Vitamins A and C are excellent antioxidants that can help protect your cells from oxidative stress while fiber promotes a healthy digestive system. Considering that the sausage is one of the most loved pizza toppings, we shouldn’t take Italian sausage for granted. There are a lot of Italian sausage varieties available, such as mild, spicy, coarse-ground, etc. If you want to use a raw Italian sausage, it might be best to opt for lean sausages with 15-20% fat for a great balance of good flavor and a healthy alternative. To make sure that the raw sausage cooks evenly when it’s cooked, try pinching every piece as you place it on the pizza. 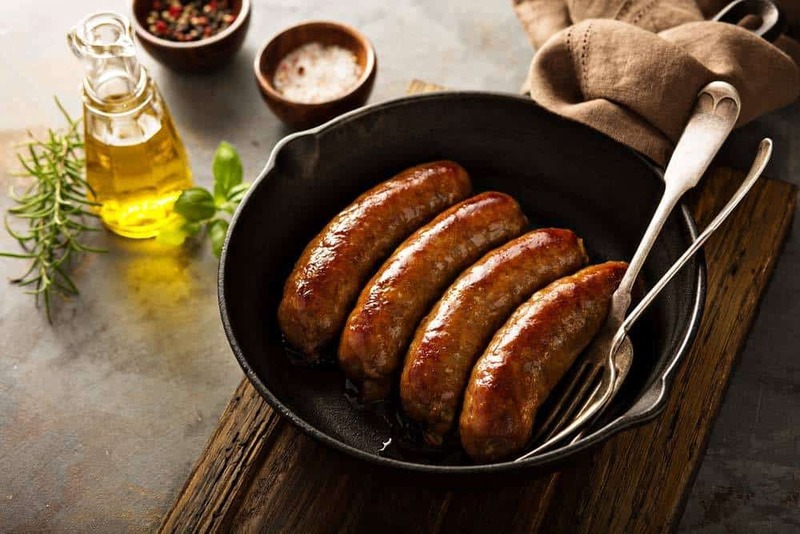 More restaurants are already using precooked sausage for handling safety and consistency. However, precooked sausage might not give that similar authentic sausage flavor that you get from starting with a raw sausage on your pizza. Some of the best Supreme Pizzas include ham as one of the toppings for that great taste overload. The subtle distinctions in texture and unique flavors appeal to many customers and pizza makers alike. You can find several ham styles from city to country and picnic. Country ham usually has 4% of salt content and aged for at least 61 days while the city ham is typically fully cooked. Most hams are shaved paper thin, so they melt and soften to release more flavors. Alternatively, you can sprinkle your pizza with some bacon if you run out of ham in your kitchen. Most Supreme Pizza recipes use Canadian bacon because it’s leaner as compared to belly bacon. 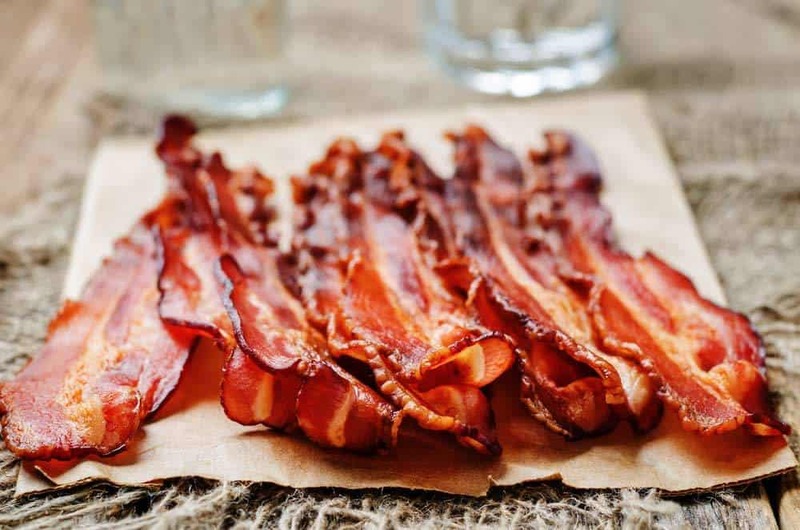 The Canadian bacon is known for its sweet taste and tender, juicy texture. Among all the other types of olives, the black ones are the most commonly used as toppings for pizzas. 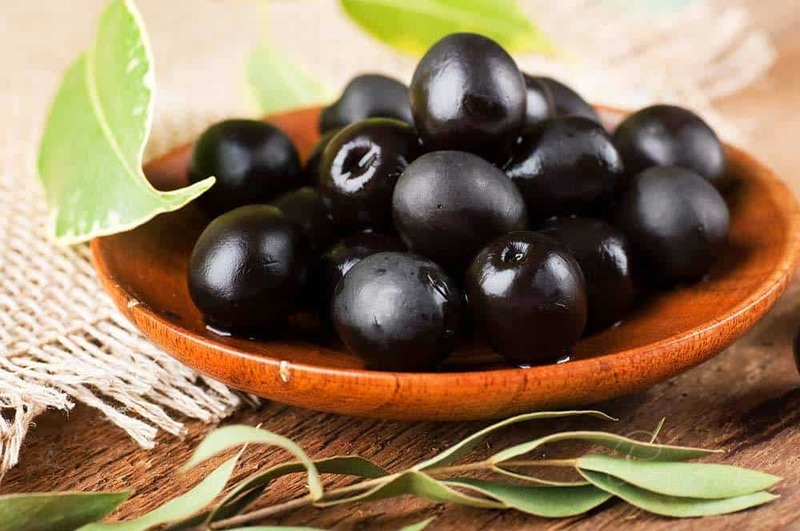 Unlike green olives, black olives are selected before they ripen. They’re in fact matured artificially before curing to ensure a higher oil content. To remove the bitter taste, they’re processed in a lye curing solution. Black olives are characterized by a firm texture and a mellow flavor. They’re available in supermarkets as sliced, whole, or chopped. In pizzas, sliced black olives are used. When you select them in packages, don’t forget to check the expiry date and choose the farthest time. The high monounsaturated fat of olives is positively linked to lower risk of cardiovascular disease. Olives are also rich in antioxidants to help fight oxidative stress and reduce the risk of unwanted inflammation. Mushrooms are another popular mainstay of Supreme Pizza. There are quite some mushrooms available, but I prefer baby portobellos. You can use regular white button mushrooms, but you need to marinate them in olive oil, salt, and herbs for up to 48 hours. If you’re planning to cook your own Supreme Pizza at home, never use raw, fresh mushrooms. The high water content may result in soggy mushrooms and a ruined pizza. The best way to use the mushrooms is to sauté them first over medium-high to high heat. Sometimes the mushrooms tend to over dry on top of the pizza. 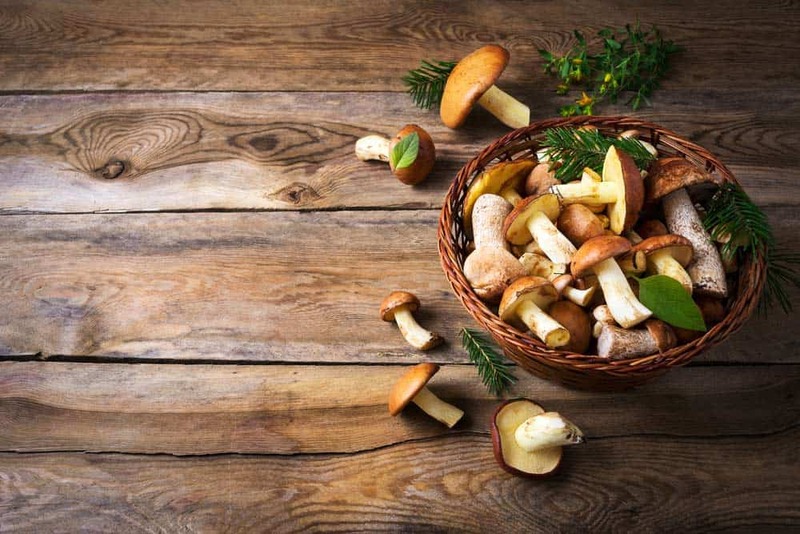 To solve this remedy, cut the mushrooms into thin slices and lay them just below a small layer of cheese. When buying fresh mushrooms, look for a firm texture and smooth appearance. 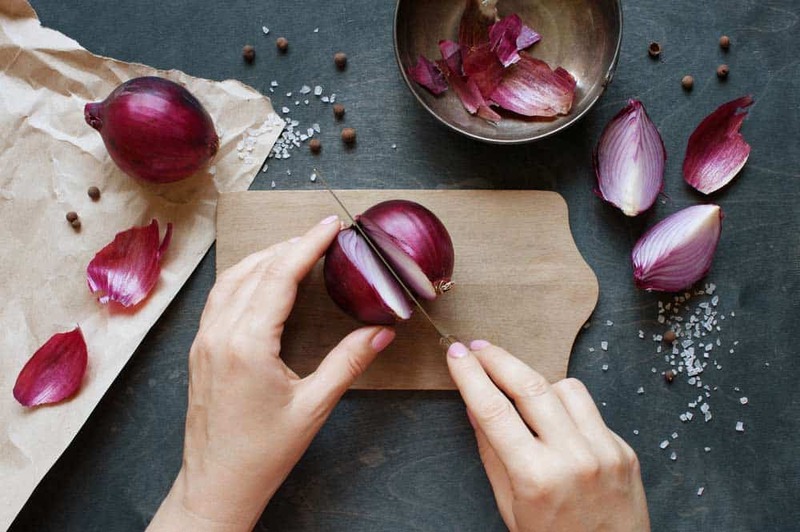 Red onions are commonly used to add spice into the Supreme Pizza mix and our favorite pizza toppings because of their color and mild flavor. Their taste is quite similar to yellow onions, sweet and astringent. Aside from the mild flavor, red onions also give a good boost of nutrition on your pizza. Like the yellow onions, red onions contain the bioflavonoid quercetin which is especially suited for discarding free radicals. Quercetin is also found to fight cancer, inflammation, and bacteria. If you’re making a homemade Supreme Pizza, choose red onions that have crisp, dry outer skins. The onions should be clean and well-shaped without any signs of molds. You can use raw onions or precooked to caramelize, depending on your preference. Did you enjoy reading the list of Supreme Pizza toppings that you love? Before this article, I had no idea what’s on the Supreme Pizza except for the obvious ones, like green bell peppers, pepperoni, and mushrooms. Looking at the list, you can tell that a Supreme Pizza is an excellent combo of meat, sausages, and vegetables. If you have encountered these toppings in a Supreme Pizza, let us know what you think in the comments section. You can also share this article with your friends and family if you like it.